What does all of that equal? A lot of stress, uncertainty, financial instability, and a negative outlook on life. Throw into the mix the possibility of doing something that seems unnatural (filing for bankruptcy), and you’ve created the perfect storm of fear and nervousness. And your attorney (if he or she truly cares) should know all of that, and treat you with the care you deserve and need!! 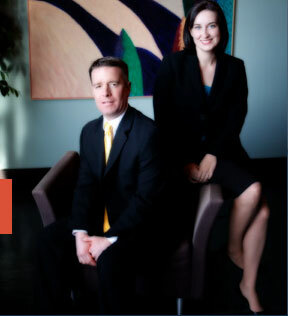 At Brinkman & Alter, we completely understand what you are going through. And not only do we want to help get you back on your feet, we want to make sure that you fully understand how the entire process works; we want to answer all of your questions thoroughly; and we want to explain all of your options and legal rights. Because if we do all of this, then you will feel less insecure about the whole thing; you’ll have received all the information you need, and therefore be much more relaxed; and once you see how close you are to getting your life back, you will begin to feel the pressure and anxiety melt away! !